What we look for within a blog will vary for everyone. Some love to read for the comedy, some love to check in on family updates, some read blogs for ideas and inspiration. There are millions of blogs with millions of missions, but one thing many blogs have in common are images. Whether creating images with words or images with photography, they play an important roll within the blogging community. When I head to a website or a blog, most often times it is the images that grab my attention. It is also the images that keep my attention, and again, what will most likely bring me back a second and a third time. I am such a visual person, and I can become instantly inspired upon viewing a beautiful photograph, a page in a book or magazine, or even watching a movie. Knowing how much photography plays a role in this blog, I decided to spend a good chunk of time on the topic within the fourth and final post of my 5 Year Blogiversary Series. So much has changed in five beautiful years! Let's start with my equipment. I have gone through three cameras since I began blogging, and I can tell you that they do make a difference. Buuuuut, you do NOT need an expensive camera to take good quality blog photos. There are things you can do with just about any camera to get a good shot, and majority of the tips in this post apply to any camera. Heck, my iPhone does almost as well as my DSLR at times. I have been a Canon girl for as long as I can remember. 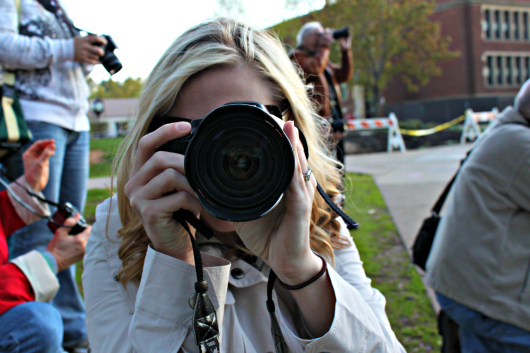 I began with a Canon Powershot point-and-shoot and then upgraded to my first DSLR, a Canon Rebel XSi. Almost three years ago now, I realized that I really loved photography and took a major plunge by investing in the Canon 5D Mark II. I have never looked back, that camera is like another appendage of my body and I am rarely seen without it. It was a large expense, but for a gal who uses it daily, it has been worth every last penny. However, there are times I still grab for my smaller Rebel, and it still does a fantastic job. In fact, it is what I would recommend to any blogger who is looking for a DSLR for blogging at a decent price point. 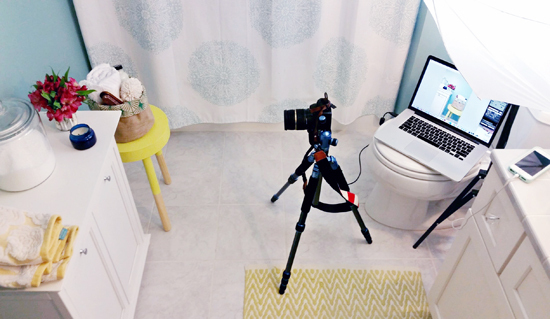 Many of you probably know that using a tripod will ensure you are getting the sharpest photos possible. I try and use my tripod for majority of my photos, but there are times when I also like the freedom of just getting into a funny position to get the "money shot". Either way, a good tripod not only provides a crisp photograph, it also holds your investment, which is a very important thing to remember and consider. The first tripod that I purchased was from Target and cost around $30-$40 and it worked great with my smaller DSLR, giving me a couple of years worth of use. After I upgraded my camera, I failed to also upgrade my tripod. A few months in, the Target tripod couldn't manage the weight of my new camera and toppled over. All I can say is thank goodness for my camera warranty. I quickly purchased a heavier duty tripod that is also easy to manipulate to many positions. I may have cried when spending a bit more, but I have never had to cry again. Let's take a moment to talk about my secret weapon... LIGHTING! This lighting kit was by far one of the most beneficial kits I have purchased over the years. Many of you have asked me how I get bright photos in my windowless rooms. Now you have the answer. 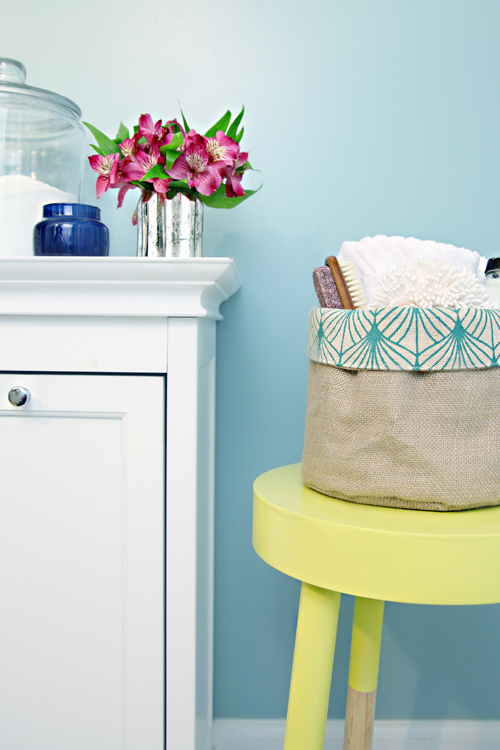 I recently photographed a storage basket in my lower level bathroom. Again, a room with no light. I actually shot the photo around 10:30 p.m.
And here is what was happening behind the scenes. The lighting kit comes with two adjustable stands, brilliant white bulbs and light filtering umbrellas. They really take away a lot of the yellow effect that our lightbulbs put off in our windowless areas, while also bringing in extra light. As you may know, the more light you have, the lower you can keep your ISO, which will ultimately lead to crisper images. Not only do I use the lighting kits in windowless areas, I also use them to offset harsh shadows and even aim them up our stairs when shooting the entryway. Hands down, best photography money I have ever spent. 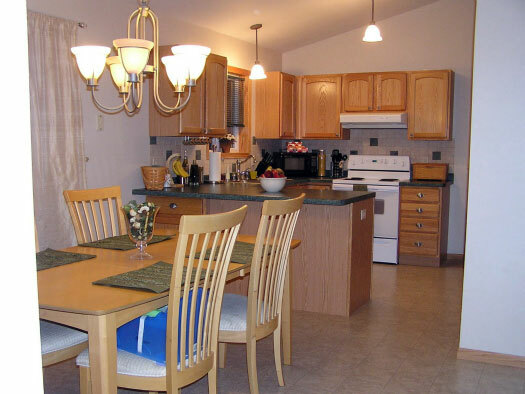 Another tips to get rid of the "yellow" effect that overhead and lamp lighting tends to put off, is to replace the lighting in your home with bright white or day light bulbs. Something else you may notice in the photo above, is that my camera is tethered to my computer. I only recently began doing this and it has saved me so. much. time. Raise your hand if you have spent many minutes and even hours photographing a room or a project, only to transfer images to your computer and feel a pit of frustration at how they turned out. All of that time lost, and then having to go back, re-arrange, and try again. After installing drivers for my camera directly from Canon's website (most likely also can be found on the software that came with your camera), I was able to tether my camera to my laptop. Then, photographing either directly from my camera or remotely with my laptop, after the image is snapped it feeds instantly to my screen. I can see if something looks off, if the coloring is bad, if it is too bright or not bright enough... fix it and then retake it. We all know that lighting is such a crucial part of a good photograph (turn off overhead lights, use natural light, shoot at certain times of the day, etc...), but sometimes too much light comes streaming in, causing harsh shadows. 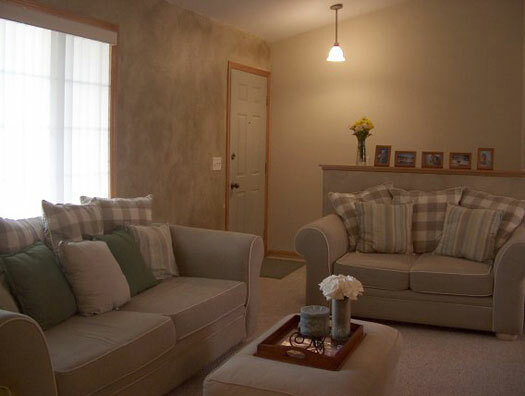 Diffuser kits will help to block those shadows or bounce your light just where you need it. Often times when working on a project, we like to display the tools and items needed for that project. It is just a nice gesture to give a visual of everything needed from the start. There are also times when we like to display the final result of a project, or create a solid backdrop for photographing items to be used in our Etsy shop. That is when I break out the foam board. I pick this stuff up at our local dollar store and use it to provide a nice backdrop for photographing different objects and projects. Simple is the key here! 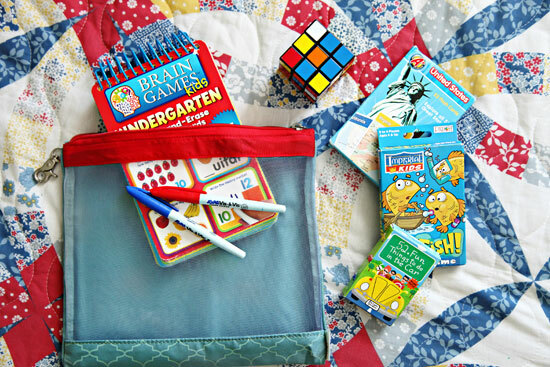 It instantly reminds me of a project in which I laid out our picnic quilt to photograph how we use different pouches to organize items in our car. The busy background of the quilt completely took away from the items I was attempting to focus on. So now I use foam board, which I pair with simple contact paper, different shades of paint, or even just leave white. 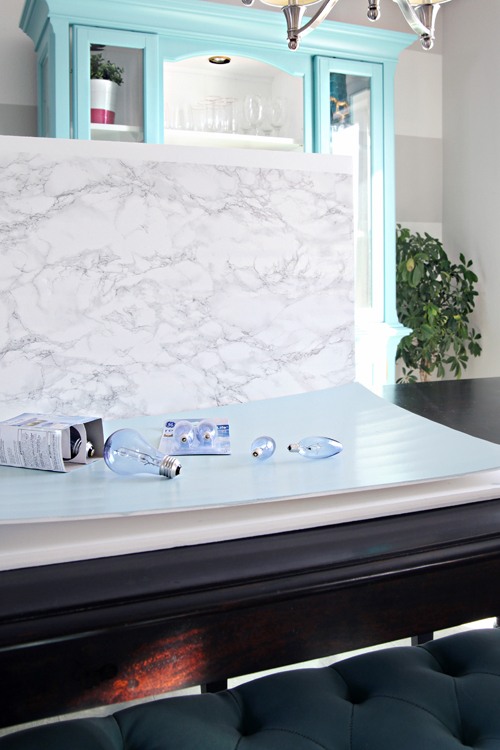 I prefer to use my marble contact paper to give an elegant effect, or paint the foam board in a subtle color, as white can be tricky to photograph. To snap a shot of the lightbulbs, I used the blue board I was painting above. The nice blue backdrop brings attention to the items I was photographing, while another foam board was blocking the direct light coming in our patio door. All cameras should have some sort of strap as another way to protect your investment. Now, if only I was better about using it! The organizer in me loves to keep all of my camera gear together in one easy to access location. Because I sometimes photograph on the go, I store everything in a padded camera bag (long time JoTotes fan). The bag comes with many pockets and compartments, allowing me to store my lenses, camera cards, card reader, lens cleaner, cords, etc... all in one spot that hangs on a hook in our entry or my office. So now that you know all about my favorite equipment and tools, let's talk about taking that beautiful image from your camera, and making it blog-mazing. The ultimate goal of the image itself, is to portray a story. On this blog, I try to use photographs as a way to share the process and outcome of a project and to also share moments around our home. To me, the editing process is just as important as the equipment and photo taking process. The editing allows you to crop out the junk that clutters the story, and also allows you to highlight specific components of the project and outcome. The goal is not to make the image so overly processed that it isn't an accurate portrayal, just enough to tell that story and provide a bit of inspiration. 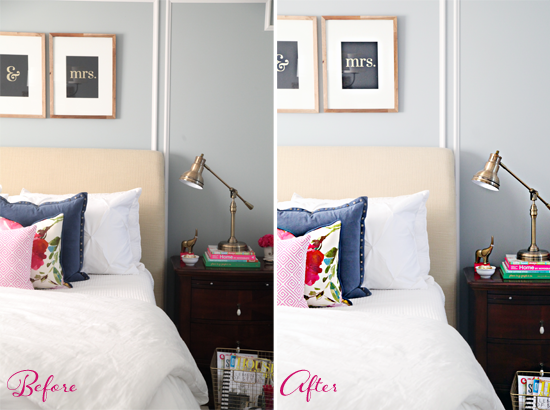 I recently shared some updates we made to our master bedroom, so I thought I would grab a random image and go through the editing process I used. Here is the before, straight out of the camera. The image was one of the last images I had taken of the space, and the coloring in the room started to get warmer as the sun was setting. My ultimate goal was to straighten, crop, and get the color to a more true to life mid-day tone, while also drawing the eye to some of the key pieces in the update. I typically do simple edits in Photoshop, however, I know that many people are terrified of it (I have been there), or do not have access to it. So for the sake of offering some tips that anyone can use, I edited this photo in iPiccy. Other online editing tools that I have used are PicMonkey and Ribbet. Once the photo is loaded into the editing software, I begin by rotating it and using the grid to straighten it. For this step, I try to find a line near the center of the photo to work with, and get the image as straight as possible. 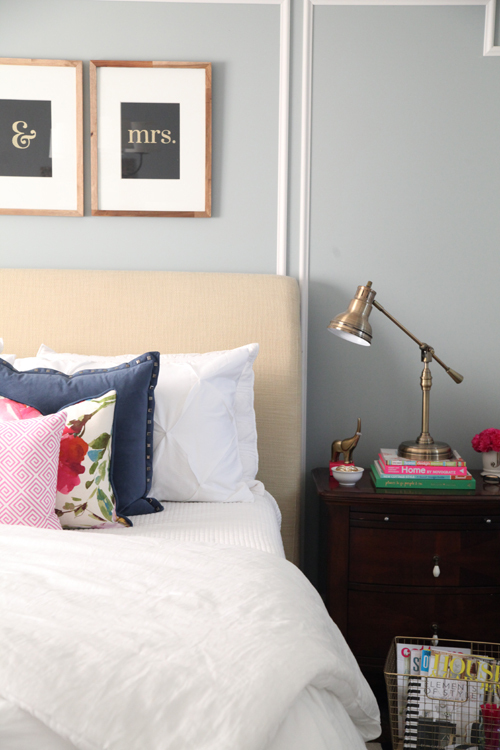 In the image above, I used the molding behind the bed as well as the top of the headboard. It is important to remember that there will be a small natural curve to your image, as your camera lens is curved. Because I try to shoot most images on a tri-pod, they come out of my camera fairly sharp. However, I like to make certain elements really pop. Typically it is a bouquet of flowers or a pillow on the bed or even objects on a work surface (or the items on top of the foam board). Using the Sharpen option, I click the paint brush to give myself the ability "Revert Mask" the painting tool. This then allows me to paint the items I wish to sharpen, again, only focusing on key moments in the image and letting everything else sit softly in the background. My main lens is currently being repaired, so I have been using an older lens for the past few months. There is a spot inside the lens that shows up on every image I photograph. 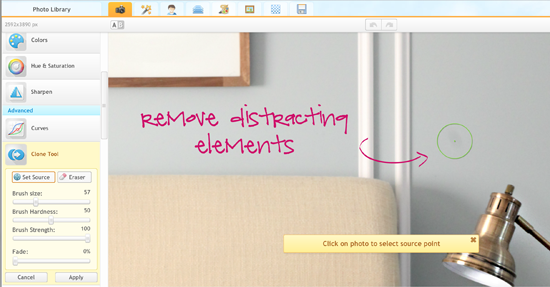 That spot is extremely distracting to my eye, so I use the Clone tool to remove it. The clone tool also makes a great vacuum! 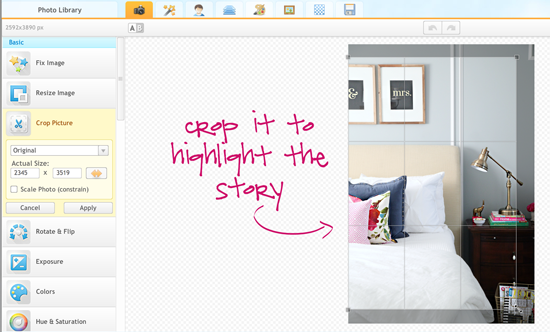 Random crumbs on the floor or table draw your eye away from the main story, so use the clone tool to clean them up quick. One of my favorite quick editing tools. Instead of using the white balance feature on my camera, I white balance during editing. The goal is to rid the photo of unnecessary yellowing that can occur if shooting during a warm time of the day or under interior lighting. Many of the online photo tools offer a temperature slider to adjust your white balance, while Photoshop has a color balance option. I also tend to shoot my images a bit on the darker side, to preserve some of the quality, and again do the brightening during the editing process. A simple pull on the Curve tool will brighten the image just a smidge, really allowing it to shine on the screen. To be sure I don't miss anything in a shot, I tend to shoot a little wider and then crop almost each image I take. The point of the crop is to remove some of the clutter that is taking away from the focal point of the image. In the image above, the random piece of molding in the upper right corner was pulling my eye away from the pillows. I wanted to crop out the molding in the corner, but in doing so, I also watched where my crop lines were landing to be sure I wasn't creating new distractions. Last but not least, you can add a little extra vibrancy to those items you want to stand out, just as you did with the sharpening process. Through some of the editing and transferring of the image from life to camera to computer, you may lose some color. I like to add a bit of that back with the vibrancy tool, once again, painting only key items and leaving the rest alone. And I was left with this. And a quick side by side for comparison purposes. I always start by pulling all of the images from the project off of my camera and into a single folder titled with the project name. I then look at each image, and pull my favorites into a "To Edit" folder. Those are the images I edit for my blog post. Once the photo is edited, I save the full size of that image in an "Edits" folder. I also be sure to name my photos according to the project and post. This will help people find your blog if someone is doing a Google image or web search using the key words you used in your photo naming process. So yes, I have the "To Edit" version and the "Edited" version both saved on my computer. I do this because I never know when a publication will want or need an image and may need it in either format. Once all of my images are edited, I then resize them to fit my blog. Before I knew better, I would load all of the full size images into my blog and then have blogger compress them down. This was causing so much lag and delay on my site, so now I resize them to 500 px wide for portrait and 550 px wide for landscape images, and also compress the images for web. By resizing and compressing, I am now uploading an appropriately sized image to my blog. So much better. And I apologize, I always do that in photoshop so that is what is shown above. 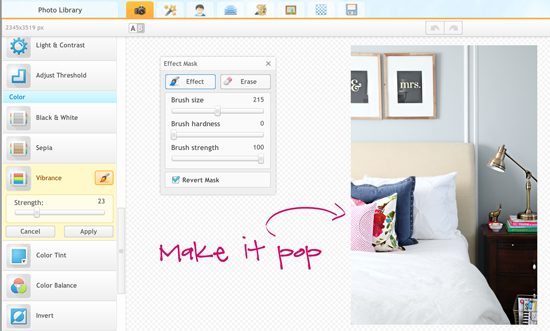 However, I believe you can also do this step with the online editing tools. Once I have my photos done and uploaded on my blog, I then delete all of the images on my computer that I never used from the project. Then, every couple of days I move all of my blog post photos to our external hard-drive as well. I know that I typically spout that "Less is More", which I do believe to be true with most things in life. But not when it comes to photography. When I am photographing a project or room, I take about 100 photographs. I take them from far away, from up close, from down low and up above. I like to have a lot of options to select from when writing my post. What doesn't get used ends up in the trash, but I am always glad I took the time to take a few extra shots. I know I have talked about lighting already, but it really can make or break a photo. I have been known to try and plan my picture taking around specific times of the day, when the sun is directly above our home. When that can't happen, that is when I use both equipment and editing to manage the changes in light. As the sun goes down, your rooms will be warmer. Shooting right away in the morning may mean direct light that causes harsh shadows. Where your overhead lighting is aimed, will also determine your shadows. Yellow lights create yellow images, blue lights create white images. In the game of photography, lighting is either your best friend, or your enemy. And no, I didn't just give you permission to jet set off to a remote location. I am talking about using a remote shutter to trigger your camera. I am not going to lie, I typically prefer to hold my camera when photographing a space. It is easier and quicker to just get myself exactly where I want the photograph taken from, and snap. But for the really good quality images, it is best to use a tripod and then take your photograph with a remote (or with your computer using the tethering cord). Even just your motion of pressing the trigger on your camera, will cause enough movement to slightly blur an image. As I mentioned, sometimes I just like ditch the tripod and organically photograph with camera in hand. Some of my favorite shots are done this way... but I may have looked a bit odd in getting those perfect angles. Scrunched up faces leaning back as far as possible? Check. Laying down on the job? Check. Climbing and straddling? Check and check. I say the funnier you look taking a picture, the better the picture will be. I have come a long way with my blog photography over the years and I am learning something new all of the time. I also have a long wish list of items I still hope to learn in the future. Something that helped me tremendously was taking an Intro to Photography class through a Community Education program at a local University. That class really helped to get me familiar with my camera and gave me the confidence to begin shooting in manual mode. And when I started photographing in manual mode, it wasn't pretty. Most days I would start in manual and end in auto just to get the job done. But practicing everyday has given me more confidence in what I am doing and now the dial never moves. Manual every day and I LOVE it. I have also heard really great things about Shoot Fly Shoot in terms of classes. I am not super familiar with which lenses are best for interior photography (something on my list of things to learn), so I will guide you towards Google with those questions. Majority of the photos taken over the past few years on my blog have been with either my main lens, which is a Canon EF 24-105 f/4, or my Tamron 28-75 (back up lens). And sometimes even my iPhone. Camera+: I shoot all of my photographs in this app, I prefer the camera and editing options over the standard built-in iPhone camera app. 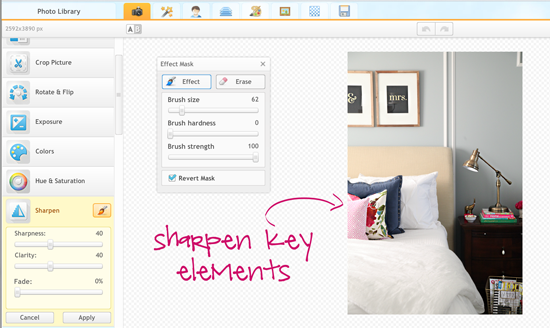 Retouch: Retouch allows you to quickly and easily remove unwanted items from your photo. I have used it to remove a random person walking behind us on the beach, and another time to remove power lines jetting out of my kiddo's head. Much cheaper than surgery... It is also a great vacuum, just like the clone tool I chatted about above. moreBeaute2: I love to use this for giving my photos a pretty white balance or glow. Really great for snow or our white fluffy dog. ProHDR: My favorite editing tool for scenery photos. It allows you to really enhance the colors and overall statement of the photo. Squaready: Takes a standard sized photo and turns it into a square. This is perfect for Instagram because you can upload the Squaready version without losing any of the image. 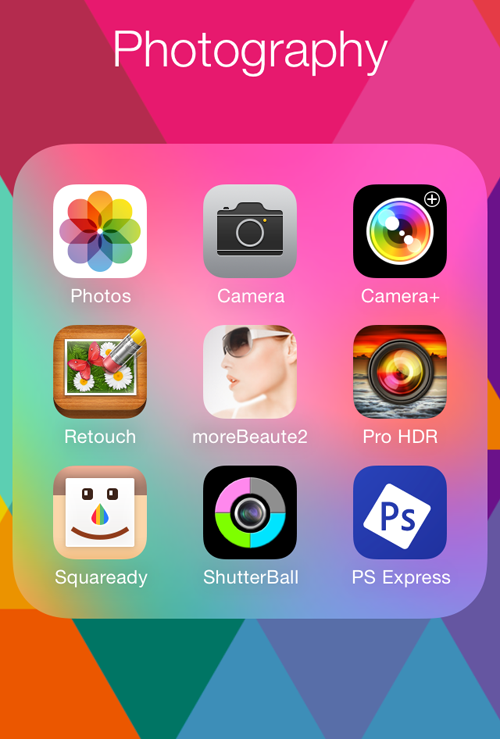 Shutterball: A cool toy for taking an image remotely with your phone. I know there is SO much more we could chat about on this subject, and I am happy to answer additional questions in the comments below if I missed anything. Aside from learning some basics about aperture, shutter speed and ISO at the community ed class, everything else I have learned over the years has been by Googling for a tutorial or watching YouTube videos. So much great and free knowledge out on the internet... don't you love it?! "I imagine everyone is going to say use natural light - which really is the #1 tip if you want beautiful, crisp photos. It's all great to have lenses and tripods, but all of that costs money AND takes up storage space (which we have very little of). I will have to steal your tip though and get the camera+ app. on my phone! I could blab, but I'll just say, awesome post. Thank you for taking the time to write it and put it all together. Jen, thank you SO much for taking the time to write this post. I was one of the ones dying to know how you always have such lovely photos in your posts. I drank up all these tips and you've motivated me to add some tools to my photography supplies and keep practicing! Hugs! Thanks you for all of your amazing tips. I read the entire post, and I really learned a lot! 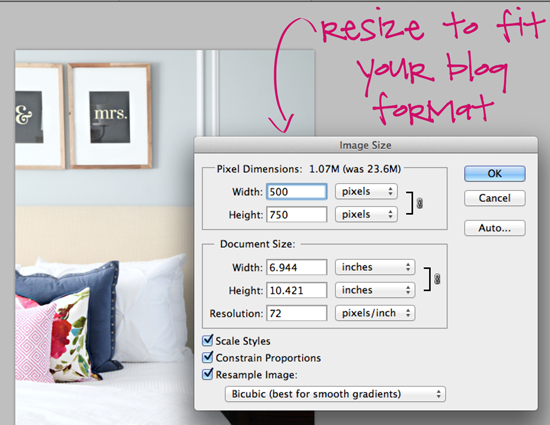 I've always wondered how your photos are perfectly sized on blogger! Thank you for sharing. I've enjoyed your series! Your photos always look so good!!!! I too LOVE photography. No classes, just all trial and error and A-L-O-T of shooting. It is fun though. I like the challenge of it. I just need more willing subjects. I think my kids wouldn't know who I am without that black box in front of my face. At this stage of the game, they are starting to revolt. LOL It is something how I get in all these contorted positions to get the shot I want sometimes. I have a new camera, but not a full frame (wishing I would of listened when someone told me to get one). How do you like your 5D Mark II?? I have a friend that is knocking around getting one wanting to upgrade her very old Rebel to that. She was asking me about that camera, but I am a Nikon girl. I loooove it! It has been extremely durable and takes such beautiful photos. I love photography beyond just for the blog, so it has been really worth it to me. If the price is a little steep for your friend, I have heard great things about the 7D also. xoxo! Thank lot for the photography tips. It will help me a lot. 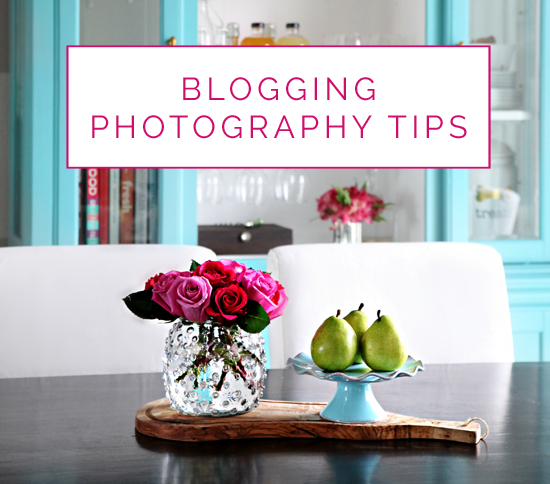 Jen, thanks for taking time to give us in-depth information on how to take better photos for our blogs. My first ones were awful. I have even gone back and improved a few, since the posts were popular. I felt they deserved better images. A little scary since some have been pinned but not enough of them to make it a disaster...like I said, they weren't great. Pleased to say they are getting better and I am hoping to improve more and more. This post will be an immense help! Lots of great comments and what you've learned really shows in your photos! Great post! 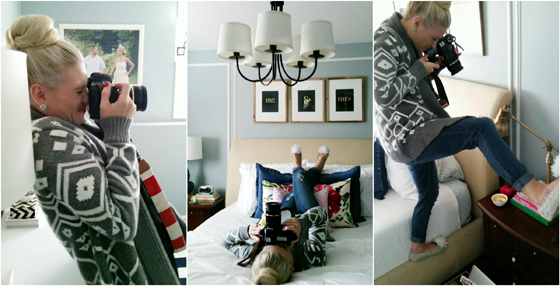 I've always wondered how you get such great pics for your blog. 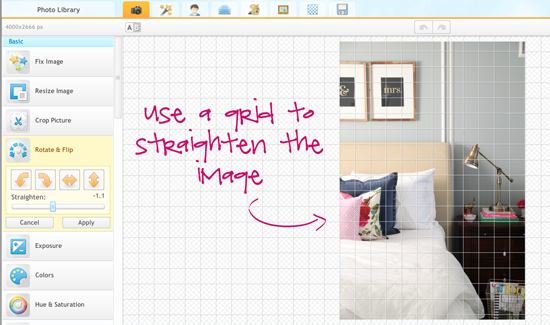 I use GIMP to edit photos, but you've shared a few tricks that I'll definitely have to try! Gosh, so helpful! I've been blogging for a couple of years and I am amazed at how much my photography has improved simply by practice. Last winter I upgraded to a Lumix Lecia by Panasonic. It's still a point and shoot, but takes gorgeous photos! I didn't want to invest in a DSLR until I knew I had the time to properly learn it. I've promised myself I'll get one and take a class when the kids are a bit older! Your blog is so inspiring. Congratulations on 5 years! Wow! This is so helpful! I'm really excited to try these tips out. I actually just got a tripod. Thanks! So helpful! All such amazing tips! this was SO helpful! I'm in the process of DSLR shopping and just added a bunch of these accessories to my wish list. 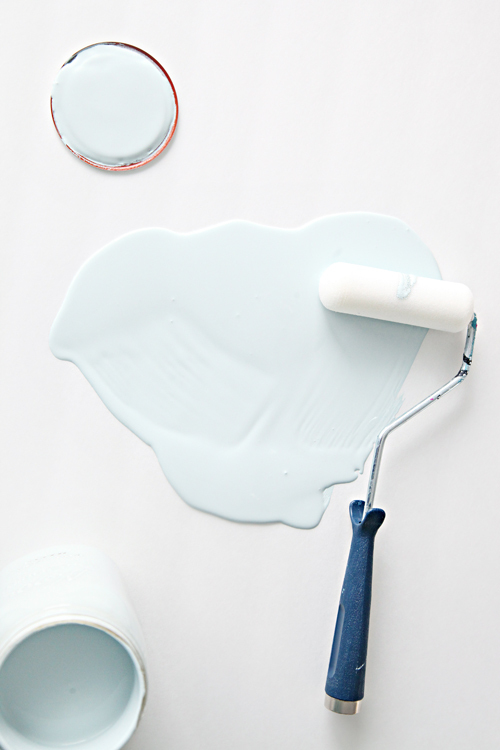 The most helpful tip for me: "...replace the lighting in your home with bright white or day light bulbs." Never thought to do that. Thank you! I have the same lighting kit, too. 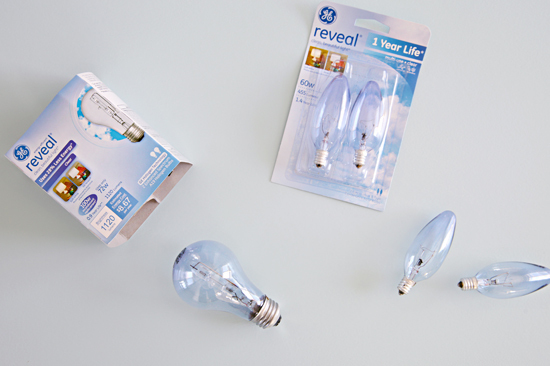 Do you use the bulbs that came with it? (Asking both Jen and Nancy) I used my kit a couple of weeks ago for the first time to shoot some portraits and wasn't really happy with the bulbs, not bright enough. I haven't left a comment in a while but I feel compelled to do so today because this post was truly packed to the gills with awesome information. You really shared a lot of helpful tips and tricks as well as admitting where you needed to refer others out. It just have taken hours to write this all up. thank you!! Thank you for all the tips, especially the iPhone apps to use. As a beginner blogger, it can be a bit overwhelming and not to mention expensive endeavor but with these great tips to start with I can build up to a better camera. That makes my heart smile, thank you Valerie! This really helped me. 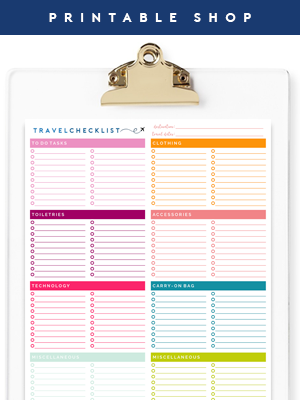 Totally pinning! This is so helpful!! I've been struggling with learning how to edit the photos and it's great that you shared your whole process from taking a photo to editing and shared tips on the equipment you use. Great photography advice. There really isn't a shortcut to taking great photos - it takes lots of practice and lots of time. I'd love to know where you store your lighting kit and photo props? That's my hesitation getting a lighting kit. I have no idea where I would put it. I've read a ton of blog post on photography tips but this one is by FAR the most helpful and insightful!! Thank you so much for sharing your secrets. I am always drooling over your crisp and bright imagery. I desperately need a Lighting Kit in my life. I had no idea these were available at such a reasonable price! I find myself waiting for a time of day when the light is best to take my photos and then before you know it I get side tracked with the kids and another day goes by until the blog post goes up because I "lost the light". This is extremely thorough! Thank you! This is a great post, thank you!! GREAT tips!! I love trying new things when I take pictures for the blog...and above all of them, lighting is key. It makes SUCH a difference. I think my next investment needs to be some sort of lighting kit. We have one room with great windows, but I find myself rushing around trying to take advantage of the light, which means I have to be home at just the right time and have everything ready to go. Too much some days! Thank you so much for this post! It's so helpful! Oh Jen, thank you SO much for this post!! Your photography is always so stunning and something I've admired for ages. It's always so light and bright and crisp, and the white balance you achieve is perfect. I've so often wished I could pick your brain for a few tips, as this is an area I really need to grow in. And here it all is - bam! So much here to learn from. It feels like Christmas! :) I have a DSLR, which I love, but I'm so clumsy with using a tripod that I've basically given up on it. But I NEED to learn to use it, because we have some really low-light areas in our house that I've never been able to photograph properly. The lighting kit is a fantastic tip!! And your editing advice is amazing. I have Photoshop and use it for creating pins with text overlay, but have next to no idea how to edit with it. Sad to say, the limit of my editing is usually to lighten a smidgen in iPhoto. MUST LEARN!! Your before and after shots are inspiring. This question may be redundant, but do you know of any basic Photoshop editing courses online...? I get really frustrated with Googling for this sort of info, as there are so many out-of-date tutorials for older versions of Photoshop and I get halfway through before realising it doesn't work with my current version. I probably just need to search smarter. But yeah, anyhow, you've inspired me to get on top of this very lacking area on my blog. Thank you for the depth of info here - I for one appreciate it more than I can say! First, thank you for your sincere sweetness! <3 I think you do a great job with your photography! And I hear you about trying to find good tutorials for Photoshop. Once I realized that there is a specific workspace for editing photos, I was in much better shape, and can do basically the same things I shared above with just a few quick motions in Photoshop. 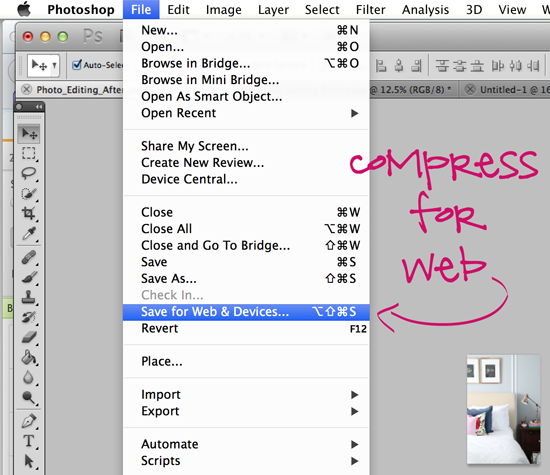 I use Photoshop CS5 on my Mac, so I am not sure if this will work for you... In Photoshop, go to your Window menu and select Workspace and then select Photography. 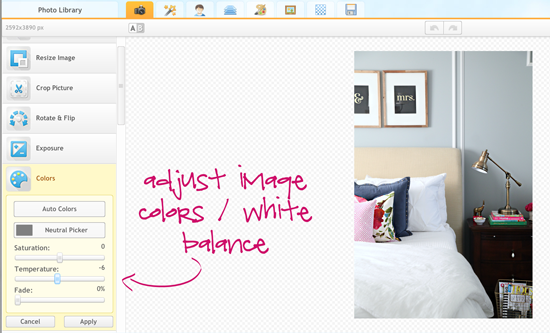 Then you should see an adjustment window appear with a bunch of tools for basic editing. This is what I use primarily and it was pretty straight forward to play with and learn. As far as online courses, I believe Shoot Fly Shoot also does Photoshop basics, and maybe even Lynda.com? Not 100% though. Thank you again sweet friend! Great tips. From what I have studied so far in photography it is actually better to overexposed and bring it down in Photoshop as long as you don't blow your highlights. Nice tips. I also love to shoot manual (can't imagine having to shoot auto anymore). However, I am a Nikon girl (nothing against Cannon though). For your readers who can't afford all the fun photo equipment, have you blogged about free editing software such as PicMonkey http://www.picmonkey.com/? Just some simple editing such as lightening the shadows and "warming" up an image can sometimes make a big difference. "I say the funnier you look taking a picture, the better the picture will be." So great! I have been in a similar position too many times to count! I bet you got a great photo out of that! 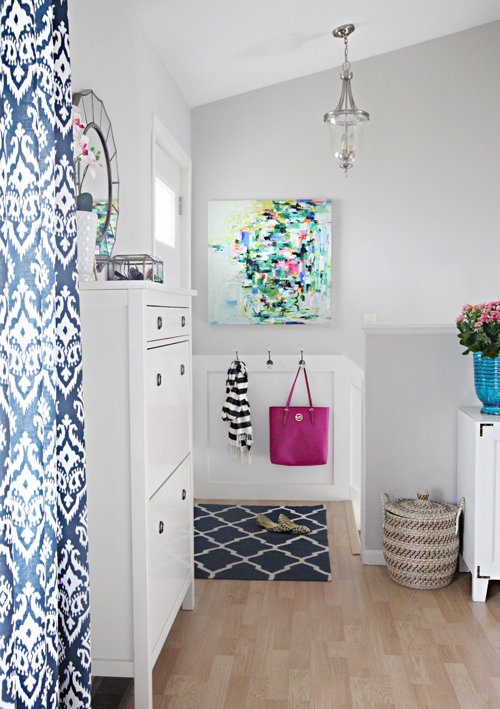 Totally off topic but...where did you get your light fixture for your front entryway? I love it! I loved your behind the scenes photos! Thank you for showing me how you get your great photos. I hope to do as well someday. 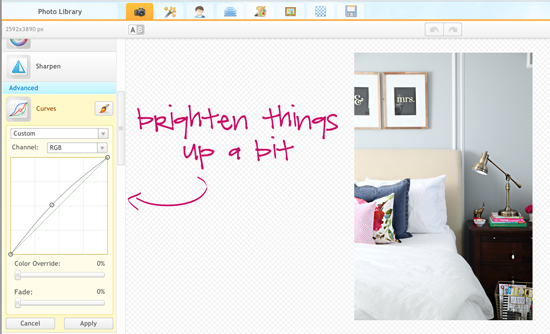 I use Picmonkey now, but I will check out iPiccy...it looks fun. You know I love your photography Jen. Thank you for sharing all your tips! I didn't realize you used a lighting kit- such a good investment! Thank you so much for your blogging series! I launched my blog last week and have been soaking up as much as I can about all that it takes. I started a photography class last week so this post hit at the right time! I know I need a lot of work in this area so all the information that I get is definitely needed. Thanks again! Thank you! 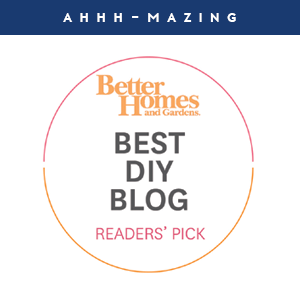 Best of luck to you with your blog Ashley! Thank you so much for your photography tips, i've been racking my brains out trying to get more crispier pictures. Your post was a great help, i can't wait till i try your tips. I'm a blogger and I really appreciate these tips. I've been putting off buying a "real" camera. My husband is actually a professional photographer and as the saying goes...the cobbler's kids have no shoes, I need to make photography happen. I particularly love your foam board idea! These are some great tips! Thanks so much! what an awesome post. 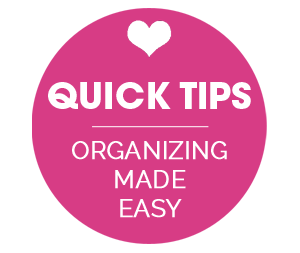 jen, your 'step-by-step-directions' approach really distinguishes your organizing blog! It is a canvas I purchased last year by Yangyang Pan. I purchased from Green Box Art, however, unfortunately I do not see the canvas available any longer. Thank you so much for sharing this, especially on editing! Looking forward to trying it over naptime some day this week! I love this post - thank you so much for all of the great info! I love my DSLR and have been trying to narrow down tripod options. Do you have any tripod recommendations? I linked to the one I currently own and love within the post, however, I personally suggest heading to a local camera store (I went to National Camera), and testing out all of their floor display tripods. Then you can really get an idea of quality and features and ease of adjusting your camera while shooting. HANDS DOWN, my favorite and most informative blog. This is also off topic but where did you get the canvas art hanging in the entryway? It's fabulous!! Great post with some helpful photography tips. Love it! This was an awesome post! I pinned it so I can refer back to it when I need those tips! You are an angel. Thanks for sharing all of this info. The foam boards are my favorite. Thank you so much for this post and all the great tips. I have read and re-read it several times to really soak up all the good info! Step one for me is buying new light bulbs. Our house always seems yellow to me and now I know why! This is so helpful! As someone who is new to blogging and definitely no photographer, I've been searching for ways to make my photos more appealing. What do you think of the VSCO app? That's really the only editing tool I have used so far, as I take all my photos on my iphone. Fabulously written and fabulously educational! I'll confess when you first showed the "before" shot I thought "sure, a little straighten, that's about all needs doing"; but wow those extra little tweaks really paid off in the "after" shot. Just shows that taking the time to edit is truly worth it. Thank you for this post! I have been working on improving my photos - especially for products in my shop - and I too love that Cowboy Studio lighting kit. That alone made a huge difference. But I hadn't thought of the tether cord so that I could see my photos on the computer during the shoot! I have had so many sessions turn out with disappointment because little issues weren't visible in the camera screen. Amazing! Your pictures are also so crisp and professional and with good reason! You are a very talented photographer. Has photography always been a passion for you or is it something that developed as the blog grew? Also, what movies inspire your design? I always loved the style in Father of the Bride. Everytime I watch it, I want butcher block countertops and white cabinets! 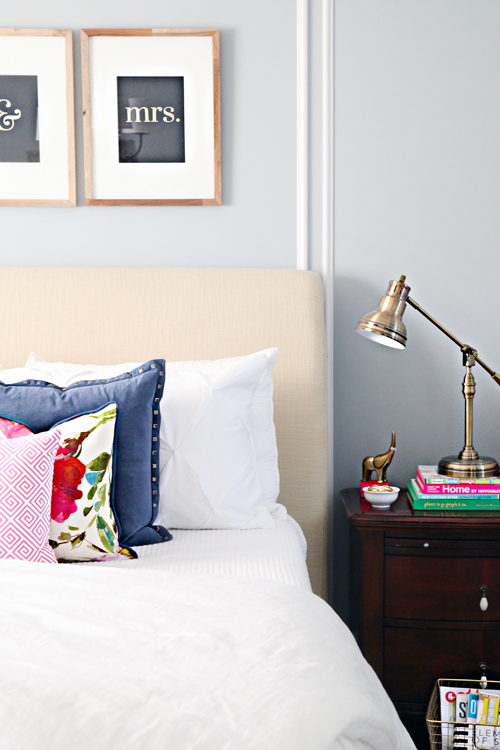 Favorite movies for interiors are same as yours (Father of the Bride), It's Complicated and Something's Gotta Give. However, any movie I watch I am paying just as much attention to the set as I am the storyline. I love this post. Thank you so much for taking the time to share what you've learned about photography….any chance for a top-knot tutorial?! Thanks for this post, so helpful! This was such a great and helpful post, thank you for taking the time to give us some really amazing and practical tips! This post is so helpful! I'm a new food blogger and I've noticed how my skills have started to improve as well. Can't wait to utilize your wonderful tips! Wow! This was extremely helpful advice! I've already started making adjustments based on your editing advice, and I've seen a dramatic difference! This has to be one of the most helpful (and actually applicable) articles on improving a blog that I've ever seen. Thanks! I just read this sooooo slowwwwwly. I am going to be looking into the light kit and diffuser tomorrow. 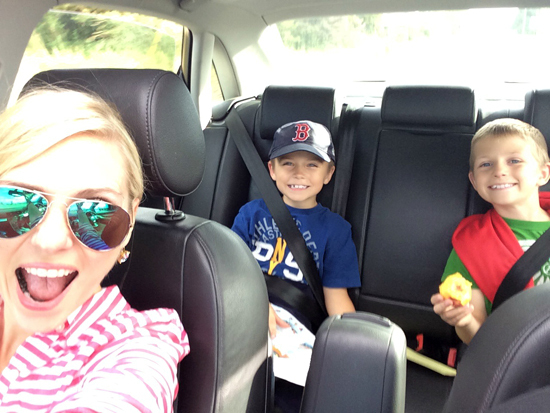 Such a great post, Jen! Thank you fo this! I never thought about changing my lightbulbs in my apartment! I face an alleyway and get pretty much zero natural light and have terrible lighting in my kitchen...I think I"m going to go through my apartment and change them all to daylight bulbs and see what happens! Where did you purchase your tethering cord? I have been looking and the cords I've been able to find are for transferring images, not shooting remotely. Thank you so much for your tips!! Mine came with my camera when I purchased it, however, I have also used the same cord my husband uses to charge the Playstation controller, so I think they are fairly universal. It may be that you need to install your camera software on your computer to get the sync to work. This was a great post! Thank you for compiling your tips and recommendations. I want to improve the quality of my photography on my blog and this will definitely help me. I guess I know what I'll be asking for Christmas and my birthday. Also, thank you for the follow. I'll be following your blog as well :). Great tips! Thanks for taking the time to include the small details, this is a great help to those starting out. 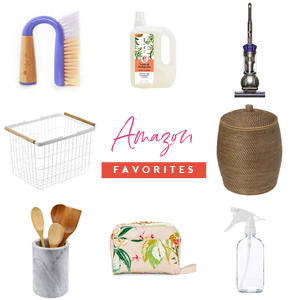 This is an awesome post, loving the apps you recommend! Thank you SO much for posting this! 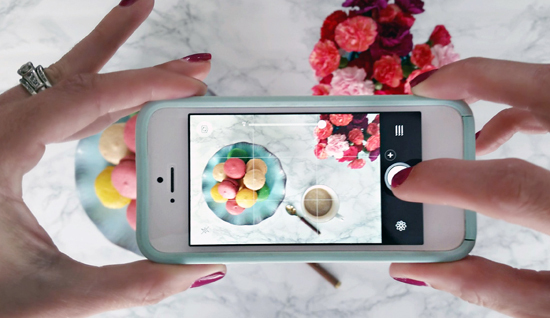 This is GREAT information and perfect as I'm a new time blogger and one of my goals for 2015 is to learn more about my camera and getting better pictures! Jen, thank you for taking the time to write such an informative and transparent post! I especially loved the foam board idea. I used some spray paint that I had on hand & they turned out great! 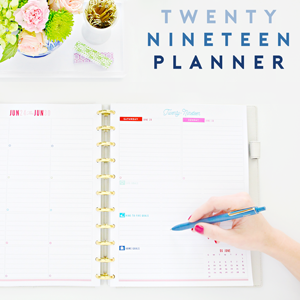 I've already used them for photos on my blog and love the clean, distraction free background they create! Thank you a million time over for this post! I am a "baby blogger" and one thing I need to work on is photography. I know images are key and I need to learn how to improve my own. Thank you for sharing so much in such great detail. I think I need to head to the Dollar Store right now and get some foam board! What a perfect idea!!! Your blog is truly amazing and inspirational. Every time I get your posts in my inbox, I immediately read them because you have such great information! Thank you, thank you, thank you!!! Thank you, Jennifer!!! I have had this post bookmarked FOREVER and just purchased the lighting kit. quick question, I have always wondered. Do you shoot in RAW file or JPEG ???? I typically shoot in JPEG - I have photographed in RAW, but the file sizes are so large and I haven't found a benefit in doing so for daily blogging. THANK YOU Jennifer for replying. I am having the same issue with RAW. Even noticed it slowed down my blog on the posts/pages with RAW files. thank you! As a blogger, I found this article to be a huge help. Just being able to see what you go through to get just the right picture. So often, I see these beautiful photos on other sites and then I look at my own photos and wonder if it is just me. Clearly, I have more work to do. Thank you for sharing your experience to allow us to learn from you. Thank you for sharing the tips! This was very informative. I am new to blogging and need help with my photos and editing too. Wow, Jen, thank you so much for this incredible post! I have so many takeaways to go practice. I have been reading your blog for about 7 months now and love your content! Your home is beautiful and inspiring. About 3 months ago I got my first DSLR and 3 weeks ago I launched my blog. I'm having a great time but struggling to create photos that capture what I'm seeing. Your tips are so, so helpful, thank you! You're hilarious! Your photography is always inspiring, Jen! Popping back to this post as I recently had a shoot that was ruined, but I didn't know it because I didn't use a tethering cord! Going to stock up on these supplies now. Such a great post, thanks! !